Added support for Nest and IFTTT brings Leviton’s Wi-Fi-based smart products closer to a buy rating. Is the Decora Smart Wi-Fi lineup now worthy? 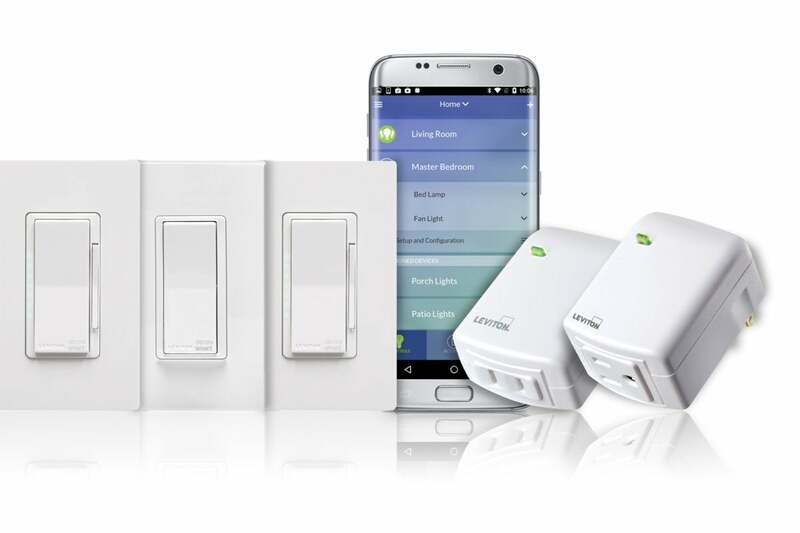 Leviton is no stranger to the light switch, and it was an early mover into the smart home space. That kind of maturity is good news for those seeking product stability, but it also means shoppers face a daunting, complex market, as Leviton now sells more than a dozen smart switch products based on Bluetooth, HomeKit, Z-Wave, and—in this case—Wi-Fi protocols. We looked at several models in Leviton’s Decora Smart Wi-Fi lineup earlier, but largely found them wanting because of their limited options: You could control them with Amazon Alexa or Google Assistant voice commands (or by manipulating the devices themselves), and that was about it. Leviton has since updated this product line to add compatibility with IFTTT (If This Then That) and some Nest devices (specifically, Nest Learning Thermostats, Nest Cams, and the Nest Protect smoke/carbon-monoxide detector). The Leviton app has also been updated with home and away occupancy modes. The principal appeal of Wi-Fi smart devices such as these is that they don’t require a hub or bridge to connect to your home network. That means you can control them directly from your mobile device—there’s no need to also have a SmartThings, Wink, or other smart-home hub or bridge installed. A crude geofencing mode lets you turn lights on or off while you’re away, but the mode must be manually engaged. As fans of the similarly configured LIFX Wi-Fi light bulbs can attest, that’s good news if you’re looking to simplify the amount of gear you need to manage. If you also want ceiling-fan speed control, however, be aware that nothing in Leviton’s Decora Smart Wi-Fi family is capable of that. The company currently manufactures only Bluetooth and Z-Wave in-wall fan controllers. All Decora Smart Wi-Fi products are configured through the same process: You connect to a temporary Wi-Fi network that the switch creates, and then transfer control to your permanent network. The My Leviton app walks you through the simple process, after which all your Leviton switches appear within the app, one atop the other. To power them on or off, just tap the on/off icon to the left. If the switch includes a dimmer, it can be controlled through the drop-down on the right. Schedules can be set—somewhat unintuitively—through the + icon in the app’s top right. This section of the app is used to add a new anything: devices, rooms, schedules, and more. Since our last review, Leviton has worked to add connectivity features to the Decora Smart Wi-Fi line. Last year, voice control via Amazon Alexa and Google Assistant were your only choices; today, Nest and IFTTT are also supported. A flavor of geofencing has also been added, so you can lights and smart plugs automatically turn off when you leave and on when you return home. This feature, however, is not tied to your device’s GPS location; rather, you must manually select the occupancy mode, which appears at the top of the app’s dashboard, to Home or Away. 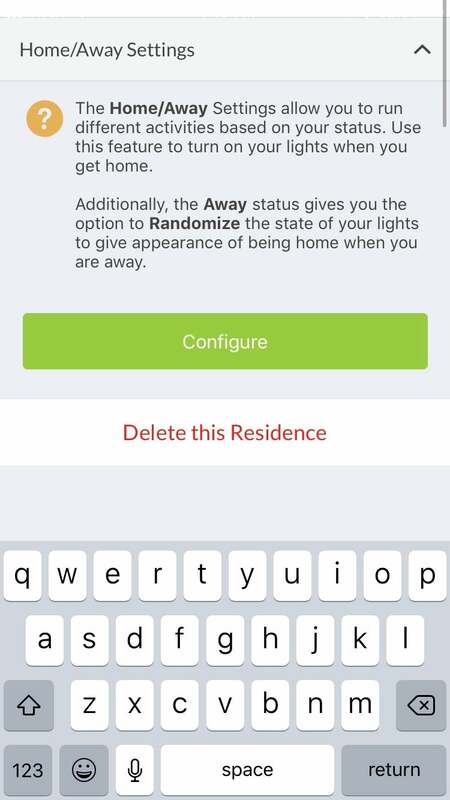 Another setting can be used to randomly turn lights on and off while you’re away after sunset. Each of these options can be used with individual switches or with multiple switches that have been grouped together in the app. Let’s drill down into two of the devices in this line that we didn’t cover earlier. The small rocker on the right-hand side of the dimmer adjusts the brightness, while the larger rocker turns the light on and off. This is a rocker-style switch, and both white and light almond paddles are included, but the matching wall plates are sold separately. As with any switch, Leviton’s DW6HD-1BZ takes a modest amount of electrical know-how to set up. A slightly unorthodox hardware design features a few screw terminals in unusual locations, so you’ll want to pay close attention to the onionskin manual—though it has hardly been designed with user-friendliness top of mind. 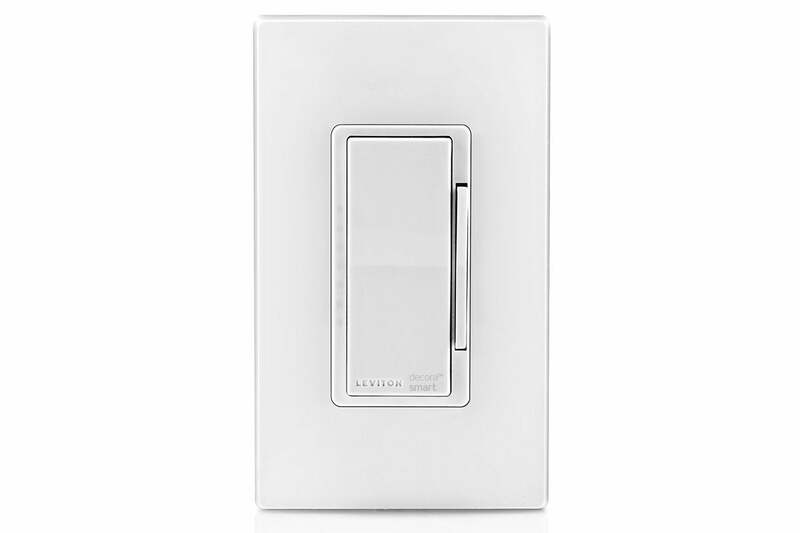 The odd design has a purpose: While some smart switches are built to support single-pole applications (i.e., a ceiling light controlled by a single switch on the wall, versus a light that can be controlled by switches at two or more locations), Leviton’s SW6HD allows for a three-way installation—if you buy the appropriate matching switch (which costs less than the smart version because it doesn’t need an onboard Wi-Fi radio). The dimming functions are contained in a small plastic ridge to the right of the rocker. Each click up brightens the light a step, and each click down dims it. The rocker itself simply powers the light on or off, but the switch remembers the last brightness value between power cycles. Aside from the jumble of logos printed on the switch, the design is clean and restrained and should have little trouble fitting into any environment. Leviton's Decora Smart Wi-Fi DW15A-1BW can control devices with small motors, but you'll want its model DW3HL-1BW if you want to dim a connected lamp. Need a grounded outlet? Leviton’s DW15A accommodates a three-prong plug in a slightly larger form factor than the DW3HL-1BW we reviewed earlier. For your trouble, you give up dimming features: In the app, you can only turn the DW15A on and off, regardless of what you have connected to it. While this outlet will work with a lamp or other light source, it is primarily designed for small appliances, including fans, small fountains, and other motorized devices rated at up to 0.5 horsepower and 15 amps of power draw. Again, the lack of variable power means you can’t, say, use it to control the speed of a connected fan, though as with the DW3HL-1BW it worked perfectly well in my testing for straight on/off applications. Leviton’s hubless, Wi-Fi-connected line has undertaken some smart upgrades in the last year, but rewiring in-wall switches hasn’t become any easier. 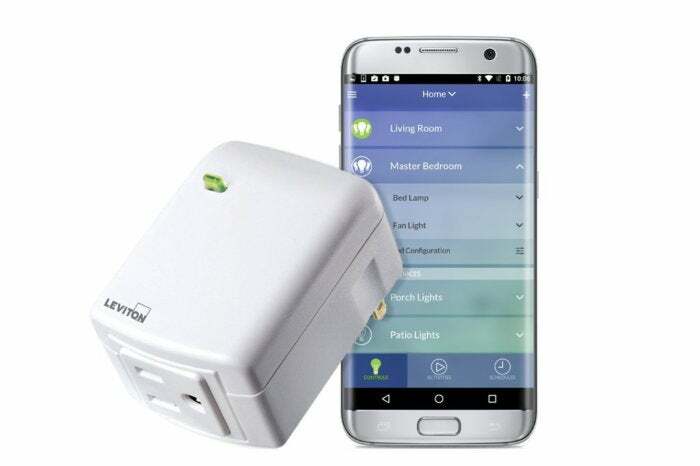 That said, new connections to Nest and IFTTT may ease the sting of the electrical work a bit, while Leviton’s mobile app covers the basics without complicating things too terribly. The plug-in devices are much easier to work with than the in-wall devices, but every product in the line now merits consideration by smart home upgraders. While modestly priced and reasonably capable, Leviton’s smart dimmer doesn’t offer enough new tricks to get us overly excited. If you need a grounded power outlet you can control with a smartphone, Leviton’s DW15A makes for a smart and easy upgrade.